I love the coast in Winter. The stark light, elemental weather and the bleak beauty of a desolate, open beach. During these colder months we get some epic high and low tides, often accompanied by huge waves and thrashing winds, which move beach and sand, carving away banks and edges, bringing in flotsam and jetsam, changing the landscape. 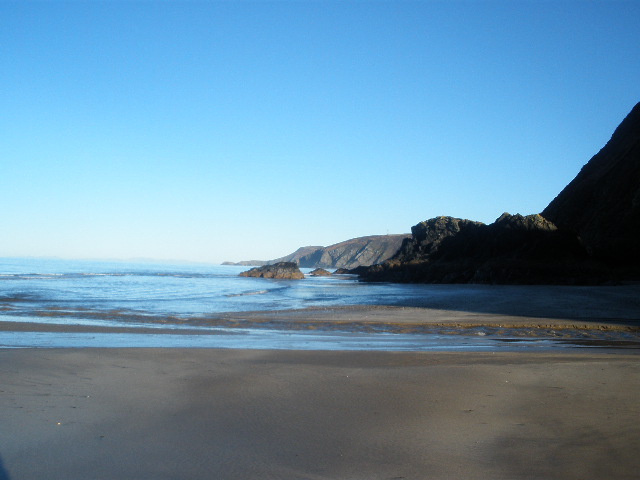 The lower shore, a kind of no mans land, a transition area between land and sea, washed by the ebb and flow of salt water is where seaweed grows, anchoring itself to rocks and stones. Around the new moon in late February we saw the lowest super tides for nearly two decades. Parts of the shore line usually submerged under the water became exposed, revealing a bounty of seaweed. Underwater Kelp forests laid bare, shiny wet fronds revealed and ready for picking. My beautiful yoga teacher, Meriel, sometimes likens our limbs to soft, strong blades of kelp, moving fluidly like liquid in the water. I am reminded of this as I clamber wet and slippery rocks, getting battered by briny winds. Waves lap like the rise and fall of breath. There is a hiatus before the tide turns, a pause when it is not going in or coming out. Time hangs. Kumbhaka, the space in between breaths, when the lungs are filled, or emptied, the pause before the next inhalation or exhalation, the outer edge, a place for observation and clarity. The shorter, darker days of Winter give time for introspection. Reconnection through the edible landscape. Filling my basket with thick rubber fingers of kelp. 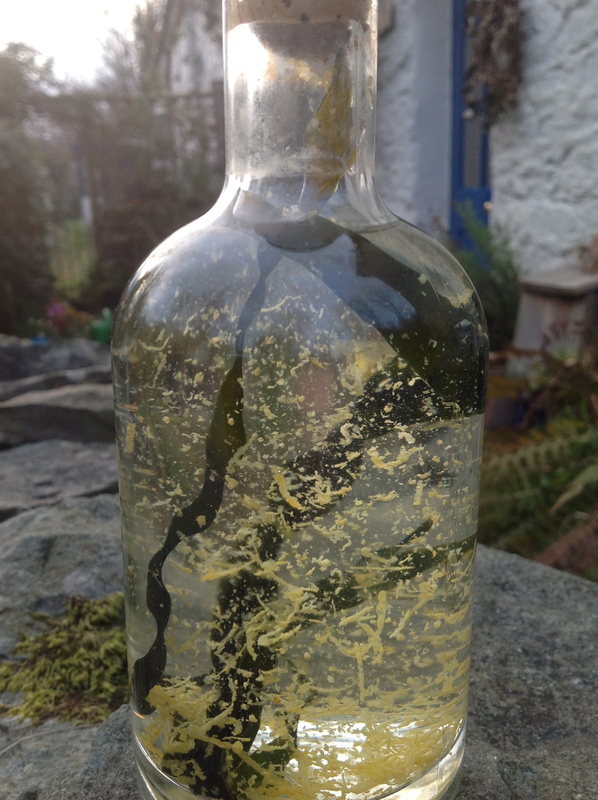 I cut seaweed with a knife or a pair of scissors, leaving a good amount of the stipe (stalk) so that it can regrow: never pull it off the rocks – the holdfast is like the root and if you pluck it it is like uprooting a plant. It’s also home to tiny crustaceans, hiding at the base. There are three large Kelp seaweeds, the one pictured here is also called Oarweed, Laminaria digitalis. It’s a natural form of monosodium glutamate: Kombu is a type of Oarweed & used in Japanese cooking to add umami flavour, being one of the ingredients in miso stock. Kelp has a pretty strong flavour & a little goes a long way. By itself it’s pretty rubbery so it either needs cooking or powdering and drying. My preferred way of drying is hanging it on my washing line & on a warm sunny day it dries quickly. 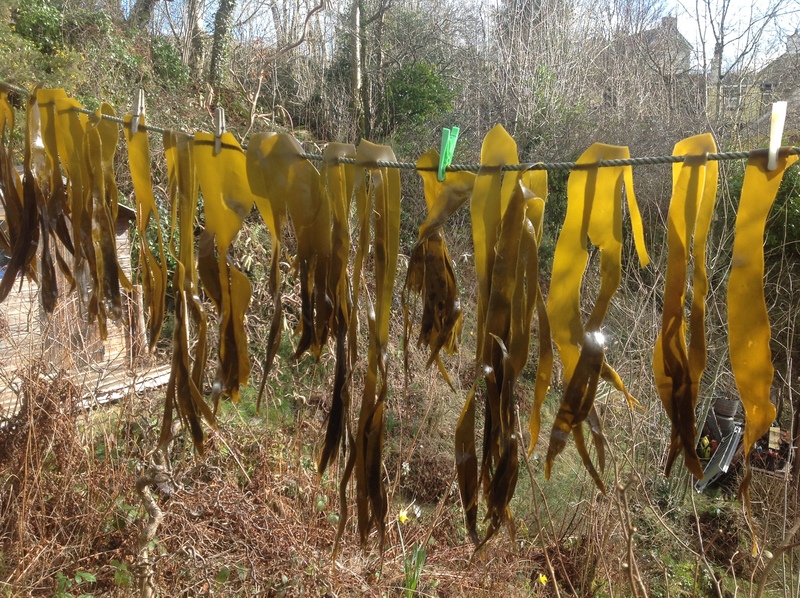 I also hang seaweed in racks over my wood burner. After burning it in the oven one time I avoid this method – the cloying smell of burnt seaweed was stomach churning and not easily forgotten. Once dry, I blitz it into powder in my vitamix food processor. 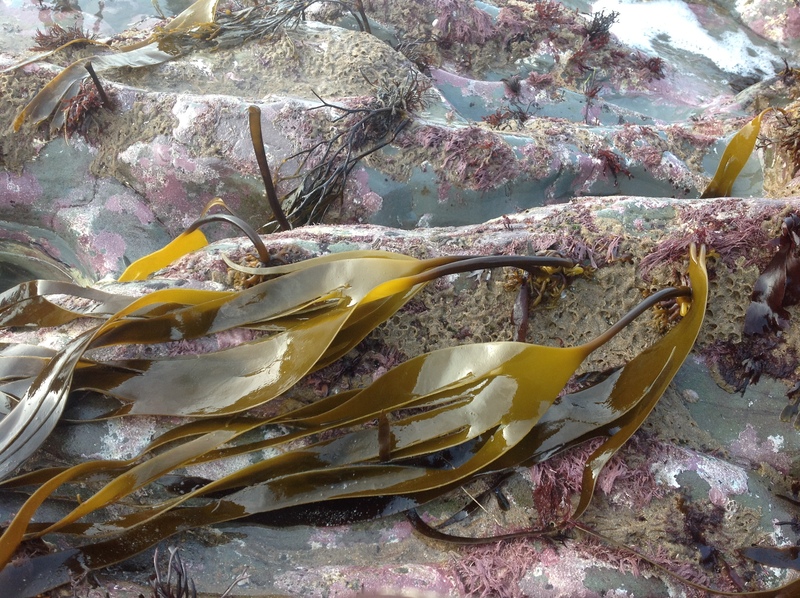 Seaweeds contain about 10 times as much minerals as plants grown on soil, so are pretty amazing as a super food. Kelp is no exception, and being especially high in magnesium and Iodine, you can even buy powdered capsules as a food suppliment. I add a pinch of the powder to smoothies, soups & stews. Adding a strip to a pan of beans is meant to soften them and also make them more easily digestible (and less gassy) as well as adding flavour.